So I spent the last days of 2012 drafting a “portrait” of a balanced life for myself. I mapped out the foundation of my life, the interface of my relationships, and the assets I have to offer and benefit from. Here I expand the details of these goals—after all, there is much power the written word. Give myself 20 minutes of meditation daily. And it is important to note, that if one is meditating properly, they should not be snoring! I have come to learn a bit about tuning into this process over the past year. But, there is always more. I’m looking forward to becoming more aware in the moment and more conscious of my life. I gave myself a gift, that I hope to use every morning. Yesterday and today, I awoke to read a page from Shakti Gawain’s Awakening: A Daily Guide to Conscious Living. A short, inspiring passage and a daily affirmation should give me a place to start with meditating each day. Attend yoga class at least 26 times this year. New Rockford is fortunate enough to have an instructor who offers classes in yoga and Pilates twice a week. In doing the math, I realize that I’ll be only utilizing only a quarter of my opportunity. But, I’ll start with what works for me. And well some nights, and some weeks, I expect it just won’t work out. It really is a first and big step for me to begin nurturing my physical self. Rather than just paying attention to my health when something goes wrong. Maintain and refine Pages of Paradigm blog. I started this blog in November this year and cannot begin to explain the impact it has had on my well-being. I’d like to continue posting at the rate I have been, keep my material fresh, and build networks within the blogosphere. Submit articles to 6 publication sources. I’ve been told I have a gift for writing, I enjoy doing it, and am beginning to believe that I can say something to the world. I have a variety of topics I can write about and could submit articles to publications such as On Second Thought, Hobby Farm Home, and Mother Earth News. Whether my writings get published or not, I’ll never know if I don’t try. Write 10 applications for grant projects. This is a professional goal that would hopefully help bring some financial enhancement. Grant writing is what I decided I would rely on when I left my previous position. I specialize in projects related to community development, sustainable agriculture, and environmental education. Until this point, I haven’t done much to market myself. In many ways, I needed to dedicate my energy and attention elsewhere. Now though, I feel like I have made some great progress in understanding some of my workaholic tendencies that drove me to push myself too hard. I am prepared to offer my services and am confident that I will be able to maintain a sense of balance, even under the pressure of deadlines. Have 5 opportunities for teaching and training. I am preparing my resume and gaining insight to what topics I could provide training and teaching on. I’ve taught many classes at the college level. The course topics include ethnobotany, sustainable agriculture, wildlife biology, environmental science, natural resources, water resources, environmental research, and cultural studies. What I am looking at now is opportunities to lead workshops or events. A weekend workshop on fermenting pickles, gardening, identifying birds or edible plant species, wildlife sketching, cooking wild game, or even hunter education. Those are all topics I could teach without a second thought. Become engaged with other birders. I like my birds. I can’t really help it. Whether it is waxwings or robins that have come to the crabapple tree, I find delight in seeing them flit from branch to branch. And in the unfortunate incident that our cat brings a dead bird into the house, I take the opportunity to show my boys how to identify it. At this point, that is as far as my birding goes. So, I’d like to meet and go out with some other bird-brains, uh I mean folks interested in birds. I’d like to look into local groups or organization that I could be a part of. Complete 12 pieces of art. I sometimes forget to call myself an artist. I was drawing as early as I can remember. I won a coloring contest at the McDonald’s on the St. Louis Riverfront when I was four. I had a piece featured at a regional art show when I was in kindergarten (it was just cotton balls glued to construction paper to make a snowman, but apparently people liked it.) I always took art classes every chance I got. Art was my rock all through high school. I even thought about applying to the School of Visual Arts in New York City. I took drawing and photography classes in community college and had a published archaeological illustration in Illinois Antiquities. After that high point, I kinda slowed down. Maybe it was the pressures of college courses. Maybe it was that I didn’t feel like a real artist. But, I know that art is still in me. I can still draw! I will still draw! And paint! And decoupage! And whatever else strikes me! 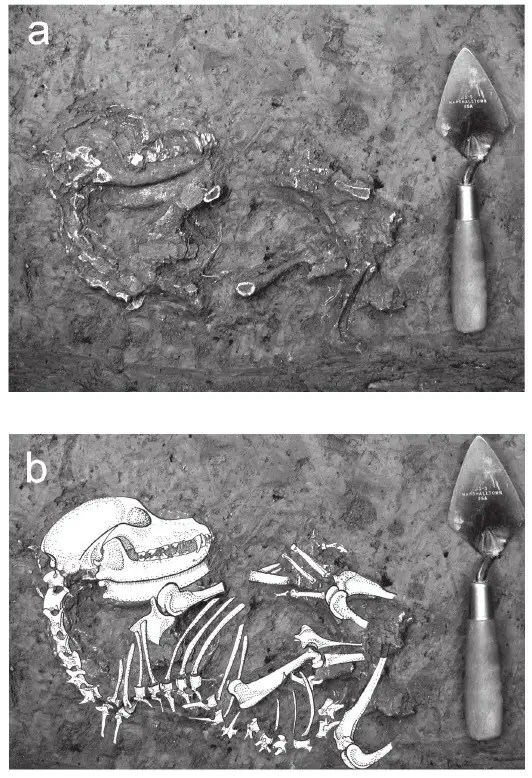 Photograph of the Baumer phase dog burial from the Kincaid site (a) in situ and (b) with a drawing superimposed over it (Illustration credit: Rachel Pepper). Make 3 pieces of jewelry a week. It was last year for Christmas that my husband got me books, beads, and supplies. I’ve been learning and having such fun. There was for a long time that I didn’t even wear jewelry. It was when I started working with an amazing beading artist at the tribal college that the inspiration began. She was generous to hand me down her seconds and I soon realized the power that resides in a beautiful pair of handmade earrings. The jewelry I’ve been making in the past months displays some of the Native influence from that was so present in her work, but it also holds aspects of nature, expressed with beautiful feathers from pheasants and waterfowl. My jewelry designs are inspired by natural elements as well as some Native aesthetic. Post 2 new pieces a week on the Pages of Paradigm Etsy Storefront. If you’ve never taken the time to check out the delightful works on Etsy, I suggest you do. It is an amazing online marketplace for gifts, vintage items, and inspiration. I’ve got my Etsy storefront set up. But, I need to take the time to stock it, so to speak. If I can post 2 of the 3 jewelry items I make each week, I should have a growing storefront. Improve home organization and management Gah! This is a difficult, but important one. I’m not a very good housekeeper. (Of course, writing this blog is keeping me from cleaning something.) It’s not so much about having a clean house as it is a comfortable home. When I first started working from home, I seriously had to peruse the internet for resources on how to be a domestic manager. Tsh Oxenreider knew there were mom’s like me out there and runs a site called SimpleMom.net. 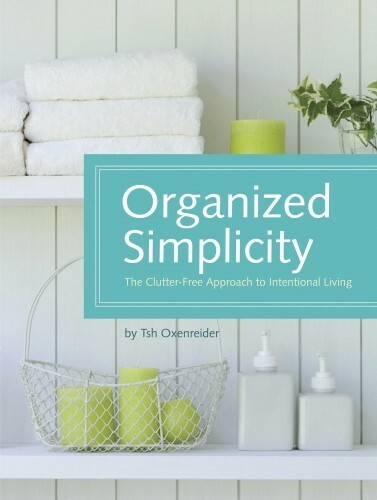 But more importantly, she wrote a wonderful book called Organized Simplicity that really helps families to create a haven out of their home in a way that is beneficial to their unique purpose in life. It is time to simplify. This year, many of dad’s things became part of our household. In addition, many of our older things no longer have a place in our life. I’ll say it again, it is time to simply the home. Learn about taxidermy. Somewhere along the way, I fell in love with animal bones. I began collecting them. Then, I began drawing them. Then, in an undergraduate assistantship at Southern Illinois University, I began cleaning them. I made friends with the guy who sold antler chandeliers on the roadside in Grand County, Colorado. I worked for the Colorado Division of Wildlife testing deer, elk, and moose for Chronic Wasting Disease. I found that one can learn a lot about life through death. I thought seriously about learning taxidermy. It was my back up plan for if I didn’t get into graduate school. It is time to check back with those interests. This year, I’d like to at least talk to local taxidermists about their hobbies and get a sense of how the process works… especially for birds! Me and Harvey, talking hides, horns, and bones. Hunt, fish, and gather. It has been too long. Way too long. This year I hope to go fishing six times, go hunting four times, and gather wild asparagus, berries, or other edibles 3 times. Traveling. There is so much of North Dakota I have not yet seen or have not seen enough. I know there are plenty of folks who can’t imagine what there is to see in this state. But when you have an aesthetic eye and an appreciation for the moment, beauty abounds. Cultivating Vibrant Relationships. I’ve been learning to make healthy friendships. They are a wonderful thing. This year I’d like to host a dinner party for friends at least three times, meet other parents and arrange playdates for the boys, and even just “hang out” with friends six times. Get involved in community gardens and farmers markets. At my previous job I developed and oversaw a community agriculture program on the Spirit Lake Nation. I loved this aspect of my job. LOVED helping folks plan their gardens, teach them how to preserve their harvest, and organize a farmers market. Come this past August, I was plenty busy enough with my own garden and was delighted at the opportunity to sell herbs, jams, and sunflowers at the Sheyenne Farmers Market. This year, I am looking forward to joining the activities with the New Rockford Community Garden and the Sheyenne Farmers Market. Continue to garden and build a greenhouse. In the obvious spirit of the previous aspect. I feel alive in the garden. The smell of green on my clothes. The feel of dirt under my fingernails. This is the glory of living. A small greenhouse will do. Just enough to start plants in the spring and continue the season for greens in the fall. Preserve, bake, and charcuterie. Food is such an amazing source of energy for me. Cooking is the best way in which I can share my love. I make a variety of jams and jellies from garden produce. Jalapeño jelly is just the start. Basil-Pepper, Chokecherry-Crabapple, Apple-Basil, Yellow Tomato, Spiced Tomato, Lemon-Tomato—those are a few of last year’s preserves. In 2013, I’d like to make and share 12 varieties of jams. I’d like to get in the habit of baking four times a week or so: bread, pastry dough, rolls, bagels, and so on. And what is charcuterie, you ask? It is the art of curing meat. Salamis, procuittos, bacons, dried, smoked, fermented, or confitted. These are wonderful methods that my husband and I have been learning over the past six years. We have a half a beef and a whole pig to work with this year. In addition, we have the wild game in the freezer. Plus, some phenomenal resources to support our endeavors. Our most relied upon authority when it comes to wild game charcuterie and other recipes: Hank Shaw’s Hunter-Angler-Gardener-Cook. Check it out, if you ever come to a dinner party at our house, you’ll likely be served something derived from his blog. My husband with a new favorite book. Salumi by Michael Ruhlman and Brian Polcyn. Create and share a food blog. Finally, we’ve come full circle. Most of my cooking is seasonal. The only “problem” with that is that with the changes of the season comes the point at which my husband and I look at each other and say, “How did we do that last year?” So this holiday season, we began documenting our recipes on a blog. For now it is listed as “private” but someday soon, it will make its debut. So that’s about it… it seems like a lot. But then again, it doesn’t. These goals are interconnected. Even better, they are productive. They have the potential to give back and make a stronger foundation. Posted in Appreciating the Moment, Cultivating the Soul, Gaining a Sense of Belonging, Nurturing Nature, Overcoming Anxiety, Depression, and Grief, Recovering the Artist Within, Redefining Work and tagged accomplishing goals, art, breathing, courage, dreams, Etsy, experience, food, joy, north dakota, organization, personal growth, vision, writing. Bookmark the permalink. I think you have ambitious goals. So many diverse and interesting things you want to try. I really do look forward to following your journey this yar.